Nordhaus and Shellenberger co-founded the Apollo Alliance in 2003, a worthy effort to unite organized labor, social justice advocates, civil rights activists, and environmentalists behind increased public spending on renewable energy. They followed up a year later with “The Death of Environmentalism” (initially, and importantly, presented to a gathering of environmental organization funders). Their apparent intention—to open up a debate about the strategic direction, self-understanding, and public communication practices of leading environmental groups—was commendable. Their criticisms of Big (white male) Environmentalism succeeded in generating angry responses from people like the Sierra Club’s Carl Pope (who addressed his rebuttal to environmental grant-makers), but the cramped nature of their critique constrained its value. While occasionally on point in its charges against the big organizations, the essay (based on interviews with mostly white male leaders of large national groups) had nothing to say about the environmental justice movement, or other grassroots groups led by women and people of color. It neglected as well the environmental movements of the Global South, today the heart of the climate justice movement. They did not talk to radical environmentalists (the people who truly understand the drivers of socioeconomic-ecological self-destruction): left Greens, ecofeminists, social ecologists, deep ecologists and others who criticized the technocratic, capitalism-friendly Gang Green decades earlier. They ignored the countless individuals and groups building diverse community greening projects out of hope as much as fear (from municipal compost systems to sustainable agriculture, from farmers’ markets to alternatives to automobility). It was, in sum, a (sometimes unfair) critique by some youngish liberals of the failure of middle-aged liberal DC/NYC environmentalism (while leaving out much and obfuscating yet more) to get government to address climate change. The main point of Nordhaus and Shellenberger’s Times op-ed is that fear-based appeals to drum up public support for policies to address climate change are more likely to turn people off than fire them up. It’s not a new point, and has been made by people on the left too. They cite several studies to bolster their claim (but, interestingly, none from economists or game theorists for whom fear of loss trumps possible gains most every time). They do not admit that fear and its emotional kin—rage and sorrow—have been and will continue to be powerful motivators for disparate social movements. Fear of nuclear war drove the atomic scientists movement of the late forties, Ban the Bomb campaigns of the late fifties-early sixties, and the Nuclear Freeze of the eighties. Fear of loss of irreplaceable species and spaces aroused preservationists from John Muir to Rachel Carson, from Aldo Leopold to Dave Foreman. Fear of loss of community and culture moved Jane Jacobs to oppose Robert Moses. Fear of further erosion of hard-won rights compels feminist organizing for reproductive health. Fear of exploitation and discrimination, of detention and deportation, animates activists for immigration reform. Fear of complicity in cruelty galvanizes animal rights advocates. Fear of contamination, sickness and premature death propelled citizens to demand action in Love Canal and Woburn, Chester and Harlem. Is fear of disruption of what Habermas calls the life-world the sole inducer of civic action? Of course not: social movements also cohere around other shared, negotiated understandings, identities, diagnoses of problems, and assessments of opportunities. Might fear paralyze rather than mobilize? Yes: in cases when the perceived threat appears impervious to resistance, and when commitment to the cause flags over time. Fear-based campaigns require a tangible evil: a draft card, a nuclear plant cooling tower, a polluting facility’s smoke plume, an Operation Rescue picket line. Thus the importance for sustainable society advocates of reducing the seeming remoteness of climate change, of making concrete the threats to life and livelihood. And thus the mostly careful attempts by environmentalists to connect increasingly frequent extreme weather to ongoing carbon loading of the atmosphere. The question of how to best frame climate change in order to generate sufficient societal response to avoid catastrophe is an important one. The common Big Environmentalist focus on “popular solutions” like clean energy is smart, think Nordhaus and Shellenberger (much better than complaining about the weather). What bothers them is that most environmental groups, even the largest and most mainstream, will not buy into nuclear power—this stubborn and ignorant stance “polarize[s] rather than unite[s].” After all, it’s “low carbon;” what could be wrong with it? Building “safer nuclear power systems” to ward off climate disaster was even endorsed, the authors remind us, by James Hansen and three other prominent experts in an open letter. Leaving nukes aside, it’s unfair to blame “polarization” over the existence of or responses to climate change on environmentalists’ bad public relations strategies. There’s no mention of how under- and mis-educated TV weathermen have been central progenitors of climate change skepticism. There’s no acknowledgement of how Big Coal, Oil and Gas have bought off local and national legislators, stalled attempts to put forward even wimpy programs (like cap and trade), or underwritten NPR’s gushing embrace of fracking. They cherry pick ‘facts’ from Intergovernmental Panel on Climate Change reports, and claim that there’s no evidence that “the economic costs of natural disasters” has increased due to climate chaos-connected extreme weather. Tell that to the National Climatic Data Center and to the (re)insurance industry (the first global corporate sector to make peace with climate science). “As I write this, the fourth in a series of violent hurricanes has just bombarded the Caribbean and Florida. In Florida, more than 30 are dead and thousands are homeless. More than 2,000 Haitians are dead. And ninety percent of the homes in Grenada are destroyed. . . . Truth telling regarding the growing evidence of links between global change and local effects convinces only liberals say Nordhaus and Shellenberg now, “but they alienate conservatives in equal measure.” The authors actually believe that more than a handful of additional “conservatives” might board the climate change bus if we just get the message right? What’s more conservative than ensuring the planet doesn’t bake all the babies yet to be born (given “conservative” opposition to contraception and abortion)? Even Barak Obama, Self-Deluder in Chief, no longer believes he can work with “conservatives” (after years wasted trying to prove otherwise). Because those technologies make the problem worse rather than better. Without government loan guarantees, liability limitations, and a pass on waste disposal, there’d be no nuclear power industry. 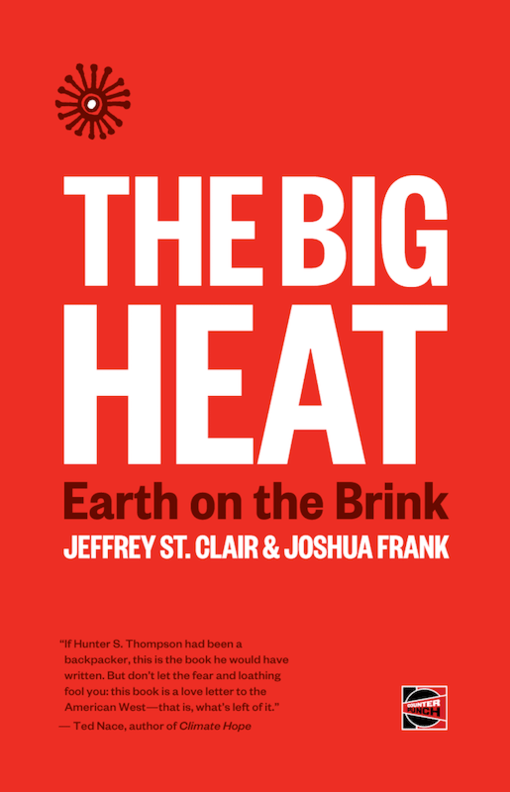 Nordhaus and Shellenberger believe it’s better to spend billions of dollars and a decade to construct a nuclear power plant than to invest the time and money in energy conservation and efficiency (creating more jobs and preventing more pollution while at the same time ending the worries of eternal radiation, meltdowns, and terror attacks)? They believe that pretending the US is Qatar for a few years outweighs the growing number of adverse effects of fracking? The single problem of methane leaks is enough to rule out fracking for natural gas as a “solution” for climate change. That’s what I mean by the pseudo-contrarian label at the top. Nordhaus and Shellenberger are frustrated, and feel the need to lash out at their impotent environmentalist brethren. They, like big environmental group leaders, do not understand (or will not admit) that climate change is an unavoidable outcome of an unsustainable political-economy, and are thus limited to suggesting failed techno-fixes. Nordhaus and Shellenberger are right that “building a better world” arguments are necessary to enroll a greater mass of people in sustainability campaigns. ‘Playing defense’ alone, focusing limited resources solely on ‘putting out fires,’ preaching only to the choir, does not a sustainable world build. But neither does pretending that inspiring rhetoric about solar panels, or a better public service announcement for energy policy tweaks, get even close to the epochal socioeconomic changes necessary to both stave off calamity and construct a superior civilization.